The doctor stands over the patient on the operating room table. It can be dizzying to look around at the dozen or more video screens dedicated to standalone medical devices and not think that the Internet of Things (IoT) could radically simplify the complexities of managing so many systems. In the process, digital health could enormously improve patient care. At the same time, hospitals struggle to constrain the rapidly-increasing costs of healthcare, yet with IoT investments they can reduce costs significantly. It’s not hard to see how the medical industry and, hospitals in particular, will represent a major component of the $19 Trillion Internet of Things market opportunity that Cisco predicts by 2020. 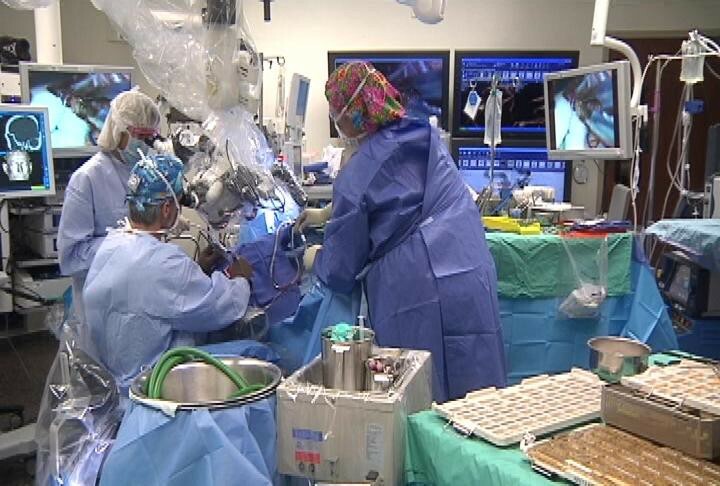 Imagining its future in surgery alone is not some far-off idea. It already exists and it’s revolutionary due to a unique blend of IoT, big data, advanced analytics and smart medical devices. Here’s how the reality plays out in a leading example. 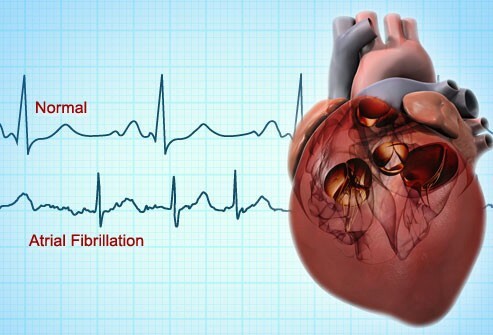 Thousands of people suffer from heart arrhythmias caused by heart disease which show up as a flutter in the heartbeat that is highly disruptive and can cause potentially fatal strokes and heart attacks. There are a few pharmaceutical drugs that can mollify the symptoms but they do nothing to remove the dead tissue lesions in the heart that cause the underlying situation which is called atrial fibulation, or AFib for short. CardioThings (a made-up name to protect the company while under FDA approval review) is attacking this problem with ablation to remove the lesions by gently burning them out with a laser. 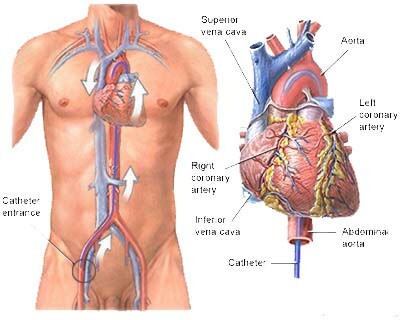 This involves inserting a catheter into the heart to try to perform ablation to remove the AFib-causing lesions. 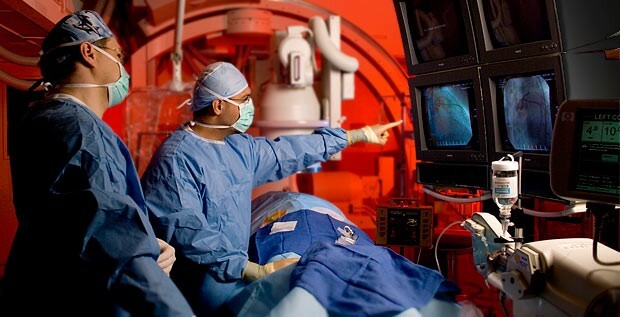 Each device is hard-wired to a screen where streaming data from the end of the catheter display a view of the inside of the heart. But that’s not where the data stop between the heart and the monitors like many devices. CardioThings, a Silicon Valley startup, works with two real IoT powerhouses, PTC ThingWorx and another Silicon Valley startup, Glassbeam, to make something much more powerful possible. 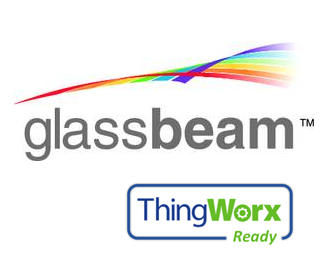 ThingWorx models the operation of the catheter so that it can send secure data to the cloud where it can be analyzed by Glassbeam. Glassbeam turns the unstructured data into structured data in the forms of readable reports that the device company can then use to improve doctors’ surgical performance. For CardioThings and other high-value asset manufacturers, this kind of data can also increase the uptime of their catheter device. Others can use IoT Analytics to increase the uptime of CAT-Scans and MRIs because the data can show when even the smallest part is showing signs of weakness or malfunction and enable a repair that keeps that equipment operating. 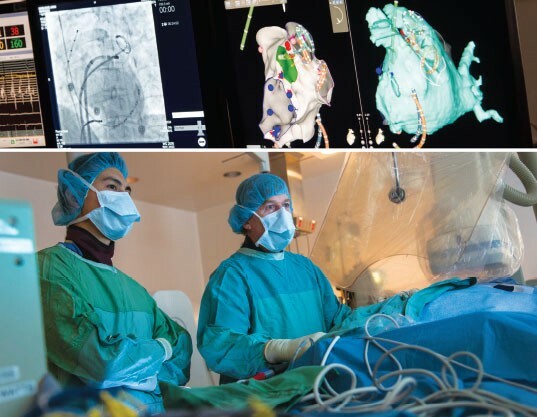 Imagine CardioThings’s optical catheter, thin enough to fit comfortably through a vein, entering a heart and mapping it out to find the lesions responsible for the AFib. The surgeon is then able to frame the boundaries of the lesions on CaridoThings’s monitors to see which are dying and need to get burned out. The laser beam from the sensor-embedded catheter then cuts the lesions out and the patient is healed. What does this have to do with saving money for the hospital? High-value machines such as MRIs and CAT Scan cost millions. Downtime for them is not only very costly for the hospital that is not billing patients but also, more importantly, interrupts patients from getting the best possible care. ThingWorx enables medical devices (Things, sensors modeled by ThingWorx to communicate as if it was the device) to talk to other Things in the cloud. Once the unstructured data is there it can be combined and recombined by Glassbeam’s analytics software to detect any abnormalities. For MRIs, CAT Scan and other devices, stopping small problems from becoming big problems that crash expensive heavily-used equipment is the ultimate value of predictive maintenance. Hospitals are large places with many people and things moving about a great deal and keeping track of assets ranging from MRI scanners to $60,000 beds is quite challenging. In the case of CardioThings above, the alliance of PTC ThingWorx and Glassbeam should make the medical industry and business decision makers globally take notice. Whether it’s healthcare, agriculture, networking or manufacturing, higher utilization of equipment is absolutely essential to remaining competitive. As a result of this solution, training surgeons to use equipment better provides significantly improved outcomes for patients. DAWN OF AN AMAZING NEW ERA: Unstructured data combined and recombined with other data from other Things yield learning that can prevent downtime for expensive heavily-used equipment, reducing hospital costs. Most importantly, patient care will improve dramatically as a result of the phenomenal number of Things connected globally. Check that against every industry! Privacy and security assured. It’s Columbus set sail for the New World. And for hospitals dispensing critical care, no one has to wait any longer for the MRI to crash to know there was a problem. They can fix the smallest problem before it escalates. Letting the hospital know that a specific part is faulty by simply examining the unstructured data it sends out is the best example of the power of predictive maintenance. No one has to wait for the MRI to crash. Hospitals can enjoy huge savings through predictive maintenance on all its heavily-used expensive equipment. Given concerns about privacy and safeguarding of material, it is essential to have a secure connectivity partner such as ThingWorx aboard. HIPPA is just the beginning of the scope of regulatory requirements that will need to be accommodated to operate successfully in the healthcare data space. Applied analytics available to doctors in real-time reduces medical procedure risk and overall liability concerns. 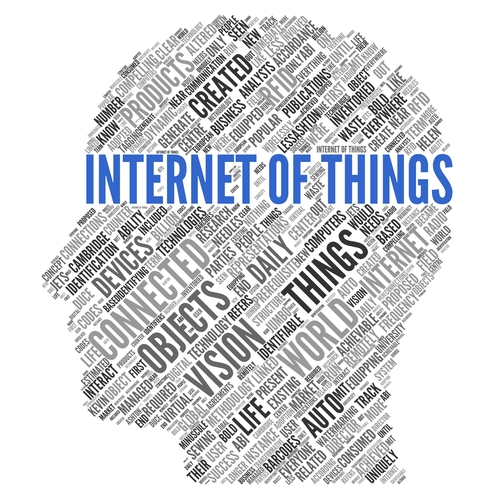 For hospitals to reduce costs and increase profitability, IoT will play an enormous role. For patients, it means their doctors will know so much more about treating them to ensure the best care after any procedure whether it’s a heart bypass, cancer surgery, heart transplant or a simple blood test. Jack Reader, Business Development Manager at ThingWorx (now at Verizon) says, “Imagine an operating room where there are just a few monitors and all the devices speak to each other and with thousands of medical systems within and beyond the walls of the hospitals. All of this innovation will exponentially increase insight and intelligence, reduce costs for the hospital and increase health outcomes”. The implications in terms of knowledge gained and positive health outcomes is so phenomenal that we almost can’t now imagine from this early stage in the IoT era all the possible sources nor all the insights that will be gained. However, the sooner IoT Analytics is adopted in the hospital, the sooner patients can expect better-run hospitals and healthier lives. This is only the beginning of a new era.